There have been more than a few times I’ve wanted to #imagedope my mundane #BikeDC Strava rides with my amazing photography, but that feature hasn’t existed—until now. 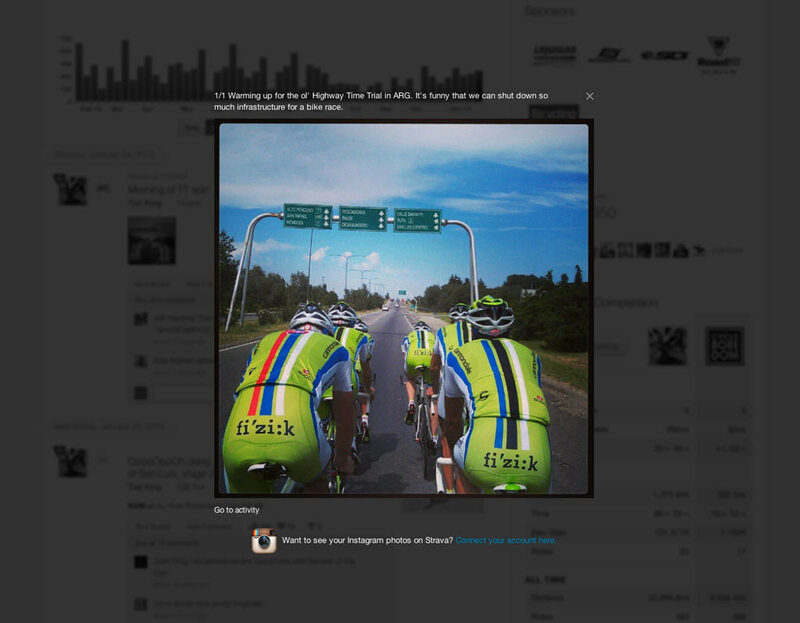 Strava announced on their blog their new partnership with the photo giant Instagram. Co-mingle your Strava account with your Instagram and let the social media barrage begin. Instagrammed images will show up in your Activity Feed along with your massive watts. Click on the image and you get a sweet modal window and a blurred background. Nicely done. There is a catch, though. One that affects me directly. Only the shots you upload while you’re riding show up on your feed. So, if you’re like me and take a bunch of shots during your ride only to post-process and upload later, you ain’t invited to the party. This obviously also affects anyone who shoots with a regular camera as well. Hopefully they’ll figure out a way to integrate images uploaded post-ride in the future. Then it’ll be be moar awesome. Until then, I’ll be righteously indignant on Twitter. UPDATE (1/27): As Ryan from Strava commented below, the window for posts is 30 minutes before and 45 minutes after. I was able to test that out today and discovered that is indeed the case.